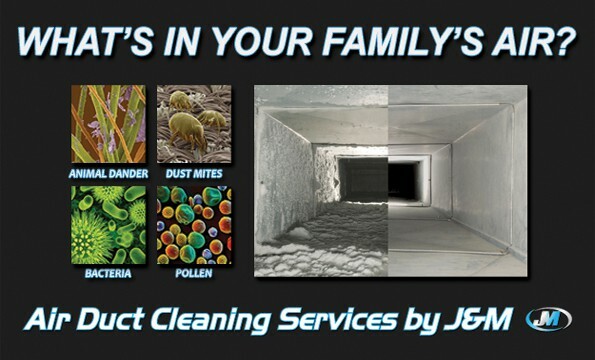 Of all the Air Duct Cleaning Vancouver companies, why choose J&M Services? We’re local and we truly care about our community. Don’t get stuck hiring some outfit advertising as an Air Duct Cleaning Vancouver company whose main office is actually located in California. Stick with a local and reputable company that truly understands our unique Pacific NW conditions. We are family owned & operated. We honestly care about the well being of our Air Duct Cleaning Vancouver technicians, and their families. You’ll see the difference yourself in attitude, respect and attention to detail from our Technicians. We meet with all of our duct cleaner technicians every morning personally before our fleet ever leaves the shop. We’re very proud of all our J&M Vancouver WA Air Duct Cleaning Services family, and it shows! 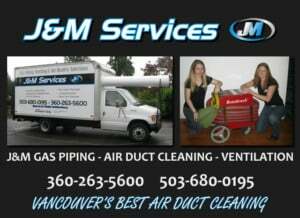 J&M Services is your Air Duct Cleaning Vancouver WA Specialist! What makes us an Air Duct Cleaning Vancouver specialist and how does this benefit you? For starters, we have an extensive background in ventilation. Not only are we your Vancouver WA air duct cleaning specialists, we are also trained & certified in all types of heating duct work & ventilation. We truly understand your homes complex heating duct system, and can even make minor repairs while onsite during your appointment. 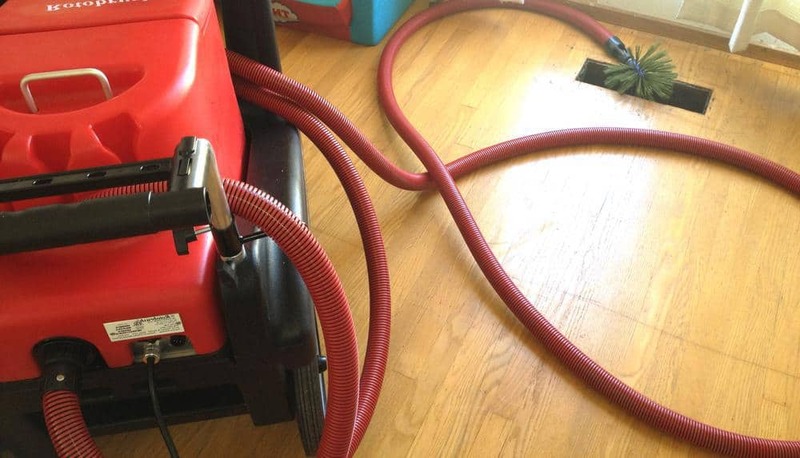 We have the knowledge to advise and bid larger or more complicated ducting issues in your homes heating system that a lesser trained Vancouver WA air duct cleaning company may not even catch. Trust your homes expensive heating duct system to the true professionals at J&M Services! J&M Services, Air Duct Cleaning Vancouver Specialists!